Easiest to do when the boat is afloat. 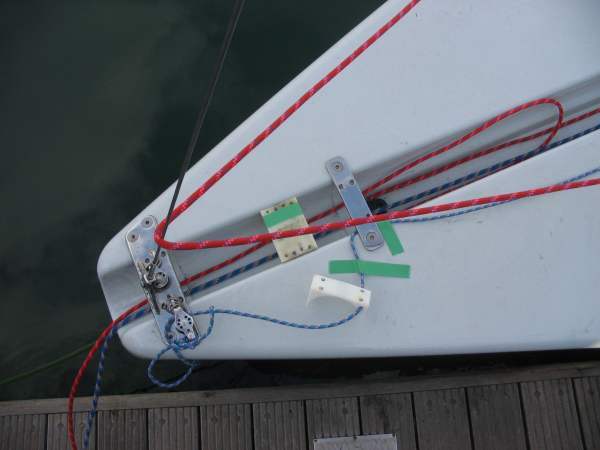 I need to remove the two plastic guides from the bridge and the forestay fitting. Don't lose the tiny screws, four from each fitting. 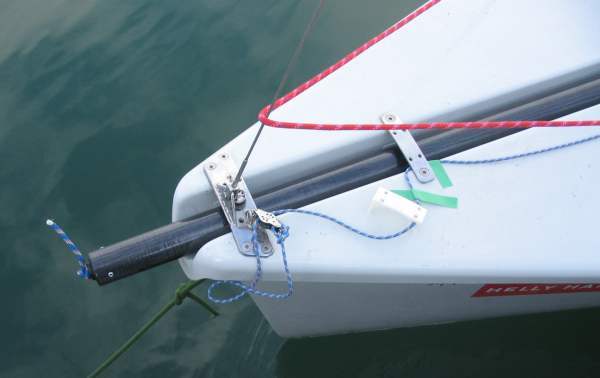 One plastic piece is held captive by the jib cunningham line (right), I marked the starboard side of the larger piece to ensure it goes back the way it came out. I do not know why there are four holes drilled on each side, only two are needed. Thread the blue tackline down from the front end of the pole. 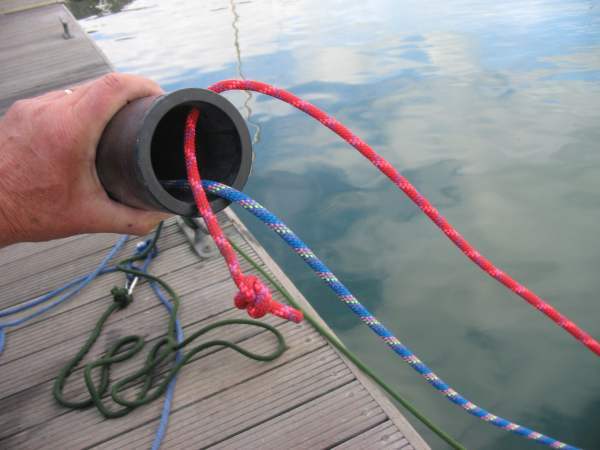 There is an inner strengthening plastic ring approximately where the extended pole meets the forestay bridge, bit of a bugger to get the line through that ring, patience pays. The red pole outhaul is fitted with a stopper knot on the inside. 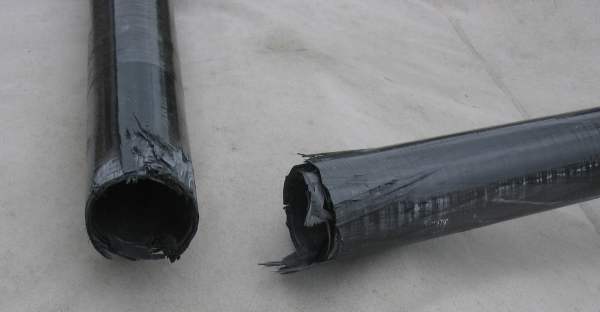 Do all of this before sliding the pole into the channel. 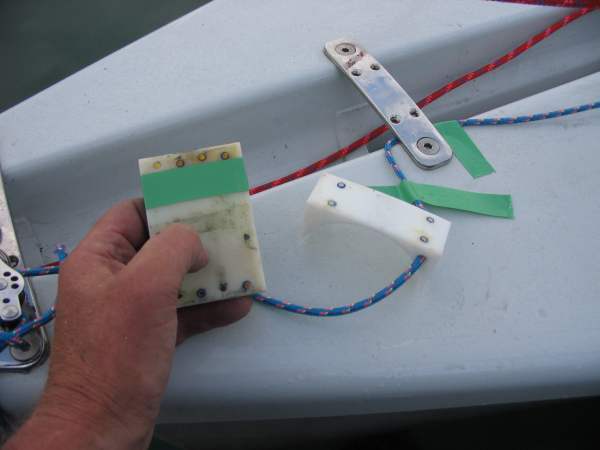 Slide the pole in from the front, re-attach the plastic guides, off to the races!